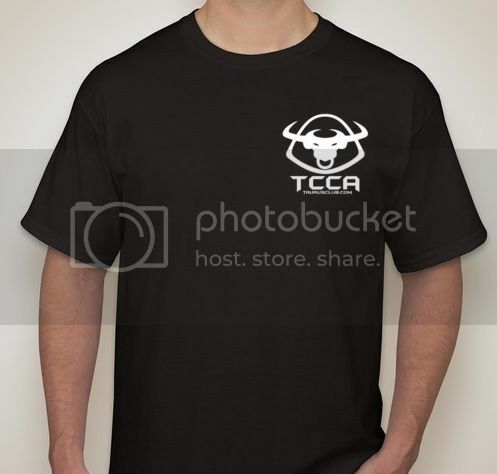 2015 TCCA TSHIRT SIGN UP HERE!!!!!! IF YOU ARE ATTENDING CARLISLE PLEASE ORDER YOUR SHIRTS HERE AS WELL! Here is the shirt design and color. Shirt price: $15 each INCLUDING shipping to all 50 states. XXL and XXXL $1 extra per shirt. CANADIAN SHIPPING IS EXTRA PLEASE PM ME FOR A QUOTE!!!!! Please post what you would be interested in on this thread and I will make a list of sizes and types. Last edited by sousa632; 05-01-2015 at 09:49 PM. Last edited by Sam; 05-13-2015 at 12:41 PM. I would like 1 Large.